NovoEd redefines the traditional video and quiz online education pedagogy by providing a social and community-based experience. 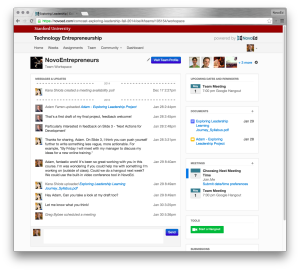 The online social learning platform’s mission is to provide their online students with what Stanford students have access to on campus: high-quality smart people and the opportunity to work with them. The platform features a collaborative space that engages the student by “learning by doing” through group projects and encouraging peer-to-peer feedback. “It’s experiential learning. You learn by doing things. The most important thing to me is to shift away from the didactic way where you watch video after video and answer questions. That’s boring. You don’t learn much,” said Amin Saberi, cofounder of NovoEd and former faculty in Management Science and Engineering. Some of NovoEd’s features include group forums and online hangouts to connect and share ideas. NovoEd offers business and design-focused courses to professionals emulating a business school setting. The course costs range from free to a $16,000 eight-course Stanford Graduate School of Business program. Coursera, another online educational platform, offers many free classes to anyone. The classes range from food and nutrition to chemistry. However, they lack the social and collaborative aspect. It doesn’t replicate the classroom experience. “[As] President Hennessy put it at one point,” Chuck Eesley said, Professor of Management Science and Engineering, “if we can deliver 75% of the Stanford course experience at 10% or less of the cost, that’s pretty incredible.” He emphasized the power of offering affordable and quality education to the mass market. Before leaving on sabbatical, Saberi was searching for a meaningful project. During a MS&E faculty meeting, Technology Entrepreneurship Professor Chuck Eesley discussed how he wanted to extend his reach beyond the Stanford classroom and make it available online. Eesley had posted videos on a makeshift blog to try to reach more students, but he was frustrated with the inability to engage. 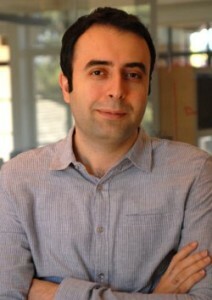 Since Saberi’s research focuses on social networks, he was interested in solving this pedagogical problem. 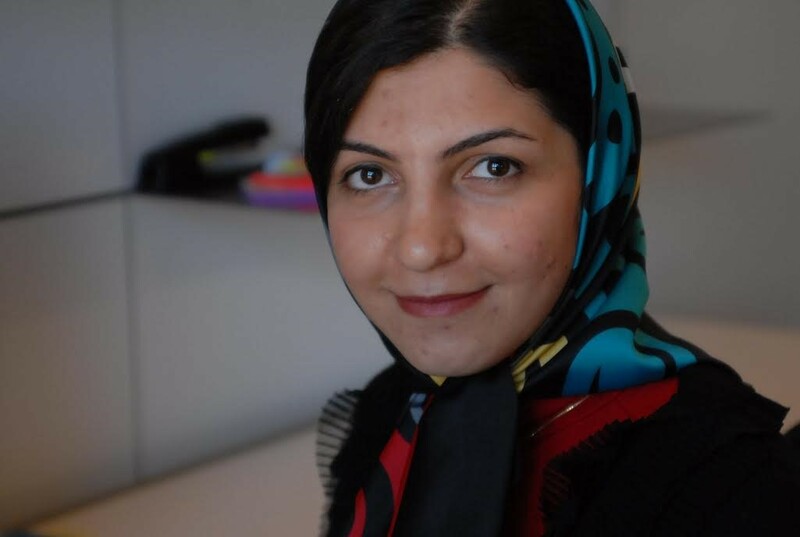 Eventually, Saberi’s Ph.D. student and fellow cofounder, Farnaz Ronaghi, made the online technology entrepreneurship class her Ph.D. project. They called it the “Stanford Venture Lab.” The goal was to experiment with social incentives to create accountability and effective remote collaboration. At some point along the line, Ronaghi explained, the project became more than academic. “The project was no longer a Ph.D. project, it was a mission for me, a calling to bring effective education to many from around the world,” she explained. After endless hours of programming, the first Technology Entrepreneurship social online environment class of three HTML pages launched, with 80,000 people in 150 countries signing up. After an introduction to the class, 37,000 stayed in the class and 10,000 finished the final project. Eesley explained that one obstacle to overcome with online education is the assignment aspect. “You have to re-think the assignments and content to suit it to the online setting,” he said. The online classroom pedagogy is oriented around the student experience and interaction. Eesley emphasized most of the teaching is not around him. The online community learns from each other by giving each other feedback and reaching out to their mentors. “Peer learning is much more effective than the lecture,” Eesley explained. Education students have received through NovoEd has been the impetus for dozens of companies worldwide, such as Tommy Jams, a web platform that eliminates the middleman by directly connecting artists and venues in India, and Stylemarks, a mobile app that connects you with upcoming designers and trends and allows to you to sell and buy products. “I get tons of thank yous from all over the world, like [from] Pakistan or Nepal,” Eesley said, using as an example the time a team from Hong Kong that had taken his course offered to take him to dim sum. Eesley describes his online education class as the most rewarding experience because he gets to extend his impact beyond Stanford. What makes NovoEd powerful is its online environment. The students hold each other accountable for attendance and submitting quality work. The attendance report is also known as the “reputation score”. After scoping out the potential group members based on attendance and interaction, they form groups of 8-10 people. Many studies show that 90% of the people who sign up for Massive Online Open Courses (MOOCs) online classes don’t complete them. Online education critics say MOOCs are too boring, unstructured, lonely and unofficial. However, at NovoEd, the retention rate for paid classes is over 90%. For the free classes, if the student completes the first assignment, the retention rate is 50-70%. “True learning happens experientially,” Saberi said. NovoEd also has educated hundreds of professionals from companies around the world, including many Fortune 500 companies such as Deloitte, Citrix, SRI International and Acumen. Teams can work on projects and take the class concurrently. As a result, they can apply their new knowledge and tools to the real-world projects and situations that come up in industry. Eesely believes online education is just in its infancy. He sees a lot of experimentation in the space with different business models that aim to make online education more sustainable and scalable. Eesley predicts there will be increasing use of virtual reality and the merging of online education and gaming industries. Last November, Stanford Graduate School of Business announced they will be partnering with NovoEd to launch their eight-course LEAD Certificate Program. NovoEd continues to grow. This September, the Al-Dabbagh Group and the Stars​ Foundations will launch Philanthropy University, an online initiative to provide unlimited capacity-building to leaders in the social sector. Talk to Kasey Quon at kquon ‘at’ stanford.edu.